Status EOL, can still be manufactured on a special order basis (MOQ 2K units). 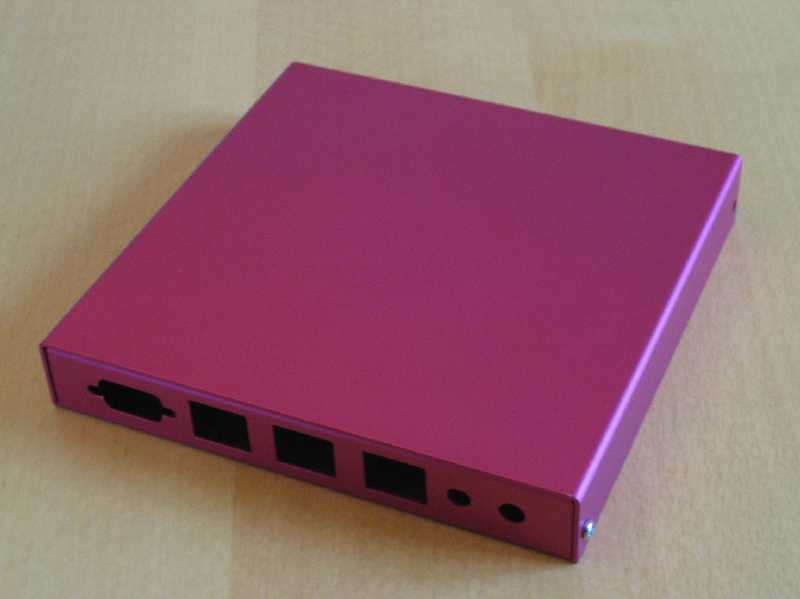 Spec Enclosure designed for WRAP.1* / ALIX.2* boards. Cutouts for 3 LEDs and 1 switch in front, cutouts for DB9, 2 or 3 LAN, (depending on version) SMA connector, DC jack in back. 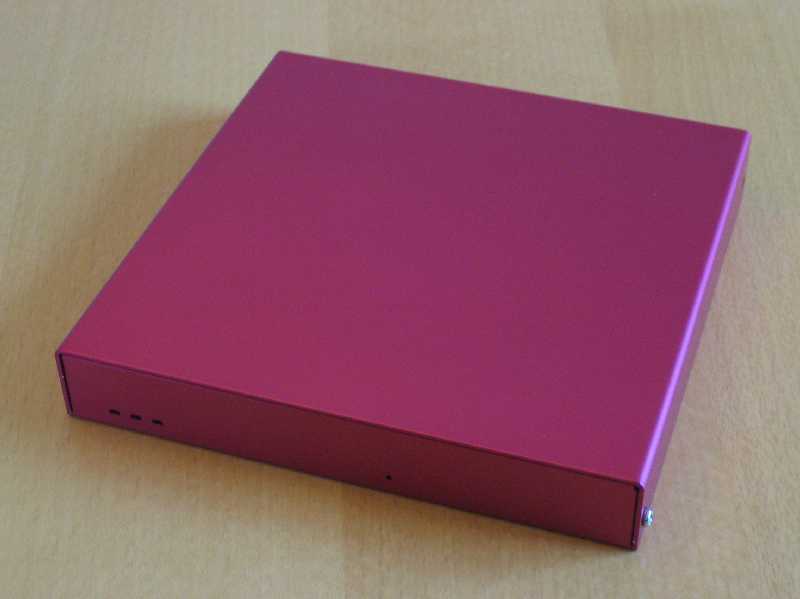 Enclosure made of anodized aluminum. Some units may be painted. Dimensions 158 mm wide x 155 mm deep x 28 mm high. RoHS compliant. Includes 4 screws to mount system board, 4 screws to close enclosure, 4 self-adhesive feet, 1 or 2 rubber plugs to close unused SMA holes. Assembly notes Tools needed: Phillips screw driver, 5 mm or 3/16" nut driver. Remove hex nuts from DB9 connector of WRAP board. Install CF card. Hold WRAP board with the DB9 connector facing up (so the shell doesn't fall off), then slide the enclosure base over it at a slight angle. Tilt the WRAP board into place and insert all screws and hex nuts. Tip for replacing self-cutting and plastic screws: To find the start of the existing thread, turn screw counterclockwise first until you feel the start. Customization Customer silk screen, custom paint colors etc. are possible for volume orders.